In rigid, drawbar, multi-wheeler and tractor form, the CF is designed to perform. The 24 valve Euro 4/5 compliant engines plus a straight forward heavy-duty driveline plus the option of AS-Tronic, increased uptime and excellent driver comfort all add up to real earning power. The CF Range extends from CF65 18 tonnes at 220hp through the CF75 multi-wheelers and tractors at upto 360hp to the CF85 rigids, tractors and drawbards at up to 510hp. A model for every conceivable application. DAF CF65 as a premium 18 tonner. DAF CF75 available in two axle and multi axle form as well as drawbars and tractors. DAF CF85 provides rigids, drawbars, eight-wheelers and tractors to suit all medium and long distance operators. DAF CF85 was awarded Fleet Truck of the Year four times in 5 years. DAF Trucks Limited is a subsidiary of DAF Trucks N.V, based in the Netherlands. 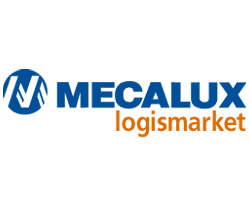 Firmly established as one of the most prestigious truck brands in Europe. DAF Trucks Limited is a subsidiary of DAF Trucks N.V, based in the Netherlands. Firmly established as one of the most prestigious truck brands in Europe. DAF is owned by PACCAR, one of the most influential and financially strong companies in the industry. The PACCAR group of companies is heavily concentrated on one core product - trucks. This provides a total focus on the truck business, and as a result, PACCAR is one of the world's biggest manufacturers of heavy commercial vehicles. The synergy between PACCAR and DAF allows for economies of scale in purchasing, technological expertise in research and development, and a healthy level of financial security. State-of-the-art factories, based in the Netherlands, Belgium and the UK have the combined capactiy to product 270+ trucks per day. DAF's UK subsidiary employees, together with the staff of PACCAR Financial, are based in a purpose-built headquarters in Thame, near Oxford. Throughout the UK, DAF has a network of 135+ dedicated dealers - giving exceptional UK coverage.